Discussion in 'Atomizers' started by wiz4vap, Nov 8, 2018. I received Spica pro RTA from efun.top for the purpose of this review. Coppervape spica pro mtl rta you can buy in one color. This Coppervape spica that I received is very good clone and everything is pretty much good machined. 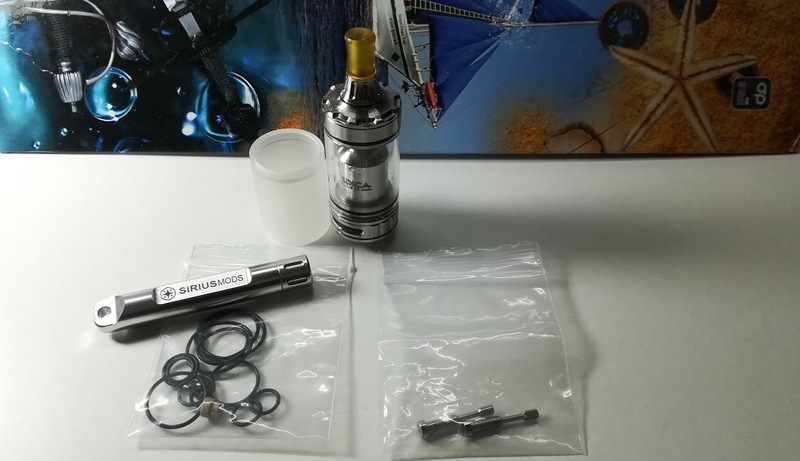 Spica rta is made out of stainless steel, in the package with the rta you will receive glass tank pre installed and you will also receive PC tank. Spica rta has engravings on the chamber and from the bottom, so on the chamber you can see engraved "Spica pro" and you can see engraved logo. 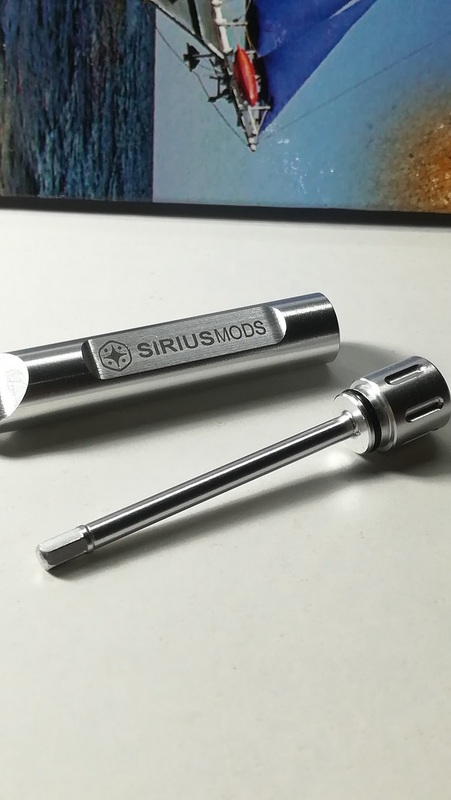 From the bottom of the rta you can see engraved "Designed by sirius mods". 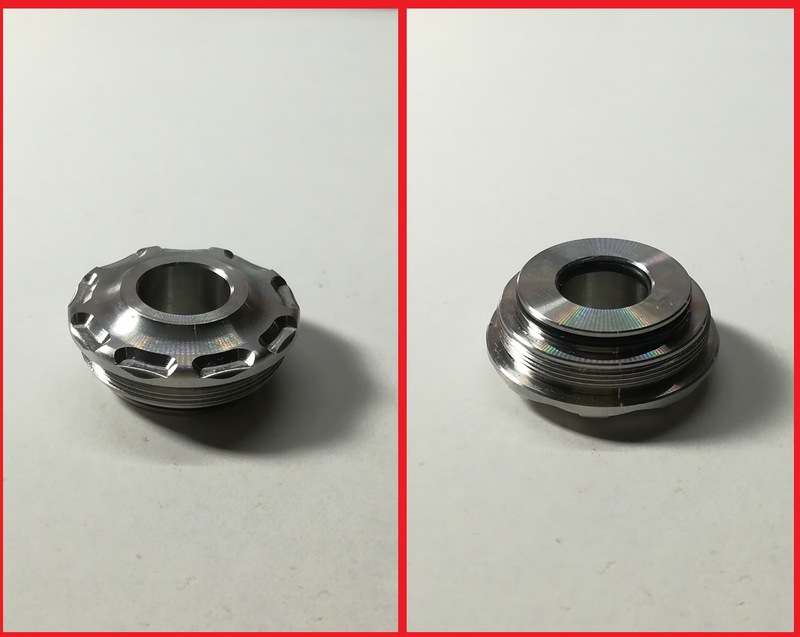 Spica pro has some details on the top cap and details helps with unscrewing the top cap in order to fill the tank and on the bottom on the airflow ring you can also see some details that helps with airflow adjustment. 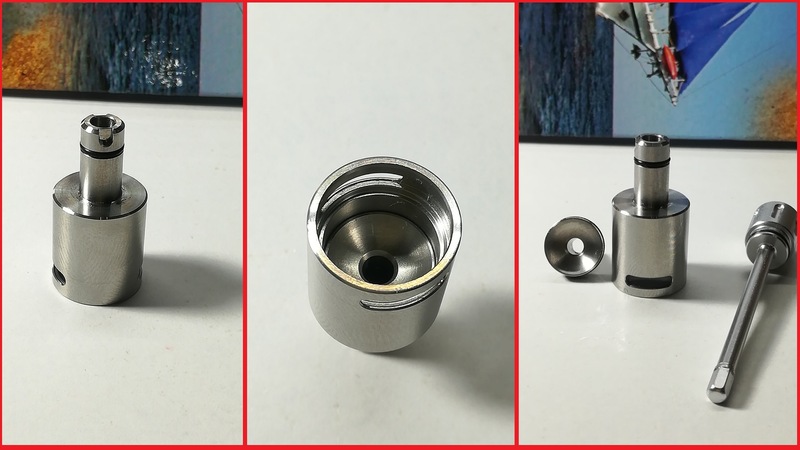 Threads are absolutely fine, as always coppervape makes atomizers with great quality, every part here you can unscrew without any problem, basically everything is machined well, only the details on the top cap are a little bit sharper but nothing terrible, you can feel it a littbe bit under the finger. Diameter of the rta is 22mm, height of the spica pro rta is 70mm with drip tip that comes pre installed. Drip tip that comes pre installed is 510 drip tip, drip tip has two o rings that keeps the drip tip in the place without problems. The ultem part of the drip tip can be unscrewed from the base. 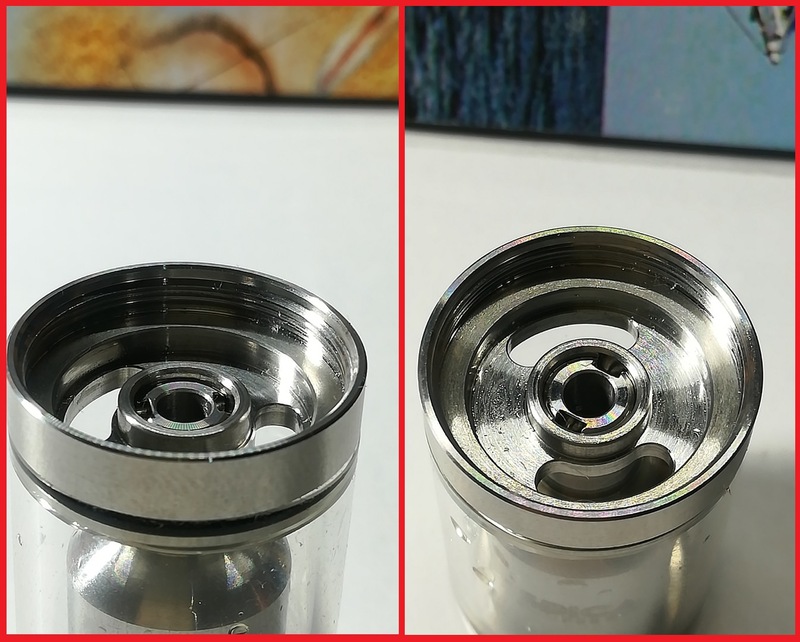 On the stainless steel part you can see some details and from the bottom of the drip tip there are two parts so you can adjust the liquid control with the drip tip. You can use any other 510 drip tip here without any problem, but with other drip tips you won't be able to adjust the liquid control, so if you want to use other drip tip it is nice to have this one close to you so you can adjust the liquid control. Pre installed drip tip is very comfortable for using, personally I like it. Spica pro is top fill rta and as I already said we have liquid control here. Threads are good so you can pretty much easy unscrew the top cap. When you unscrew the top cap you can see two holes for e liquid. Before you fill the tank you need to close the liquid control and then you can fill the tank and screw the top cap back on the tank and then you can open the liquid control. On my rta wicking holes are perfectly placed so I can always see how much I opened the liquid control and there is no leaking whatsoever, the liquid control works good on this rta. 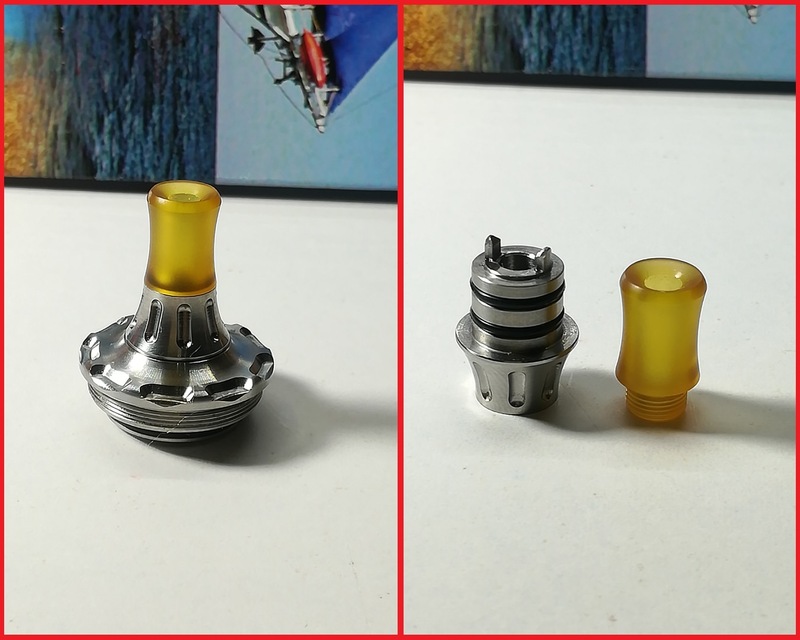 So, when you need to fill the tank, you need to close the liquid control, then you need to take off the drip tip because if drip tip is on the top cap when you unscrewing the top cap drip tip will be spinning as well and you will open the liquid control, so before you unscrw the top cap you need to take off the drip tip. With spica pro you will receive two tanks, one glass tank that will be pre installed, capacity of the glass tank is 3ml, which is very good for mtl atomizer. The other tank that you will receive in the package is pc tank and this tank has 4ml capacity, which is perfect capacity for mtl tank. O rings that holds the tank are very good and tank stays perfectly in place without problems. 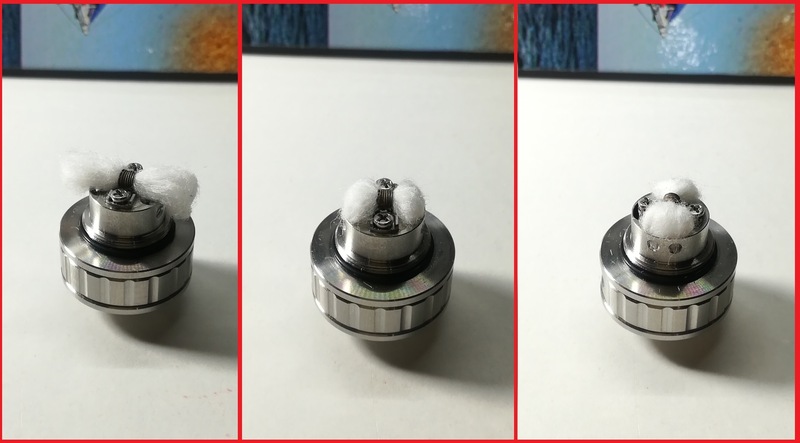 What I like here is that I can change the coil or change the cotton even when my tank is full, all I need to do is to close the liquid control and unscrew the base, there is no any leaking when I do that, as I said liquid control works perfect on my spica rta. Spica pro has very unique feature, you can adjust the height of the chamber. So, on this rta we have one piece in the chamber and we can adjust that piece, we can place it higher or place it lower. 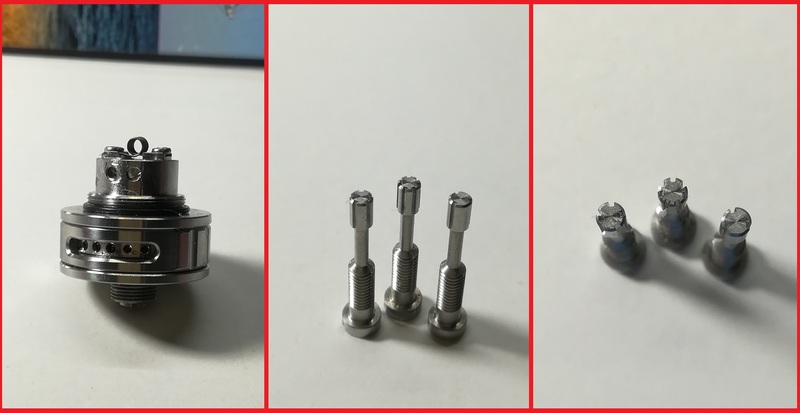 The tool that you will receive in the package is called chak (Chimney Height Adjustment Key Chain) and you can adjust the height of the chamber/chimney. You can adjust the height of the chamber when you are using the atomizer which is really good. Idea with adjustable chamber is to achieve stronger or soft thoat hit and considering that you will adjust the chamber you will get different flavor with adjustment. If you want stronger throat hit you need to place the piece in the chamber higher, but if you want soft throat hit you need to place that piece lower. You can adjust the height of the chamber when you put the tool inside through the drip tip and then you can adjust it lower or higher. Personally I would like that they added some part here that can show us when we are close to the coil because the piece can touch the coil and we have a short, so you need to be careful here. Also you don't have to hold with one hand the drip tip when you want to adjust the height with the tool through the drip tip, it works just fine and drip tip doesn't spin. On the base you can see two screws that locks the leads of the coil, screws are good and screws locks the leads just fine. Also on the base you can see two slots where you will need to place your cotton and you can see two wicking holes on each slot. On the base there is also airflow pin under the coil. Placing the coil here is pretty much easy and wicking is very easy as well, so I think you will have no problem with that. Because of the liquid control we can also adjust how much liquid will come to the coil. With spica pro you will receive 3 airflow pins, one will be pre installed and two of them will be in the box. All 3 pins are different, one pin is 3-leaved pin, second one is 5-leaved pin and the last one is 7-leaved pin. So with different pins you will have different airflow. 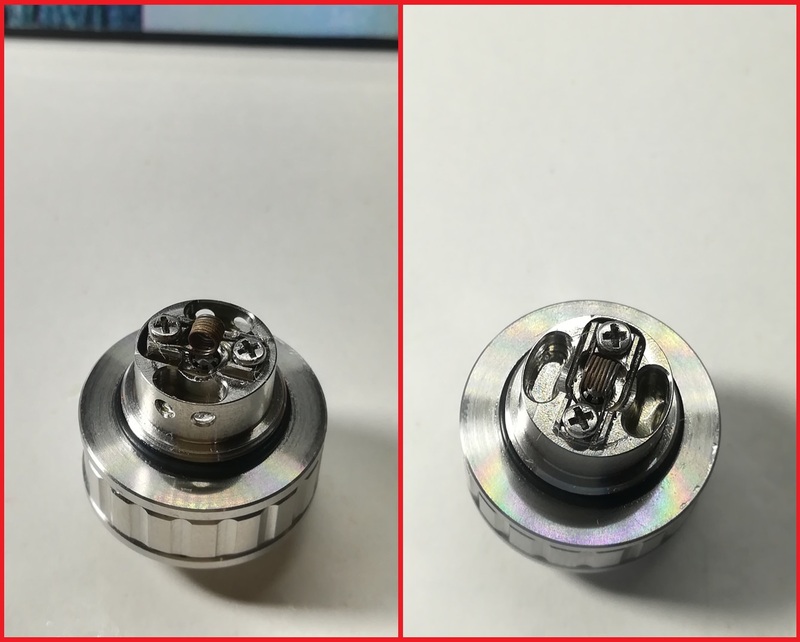 You don't have to destroy your coil in order to change the pin, you can change the airflow pin with your setup inside without any problems which is a big plus, so you just need to unscrew the pin from the bottom and screw on the other one that you want to use. 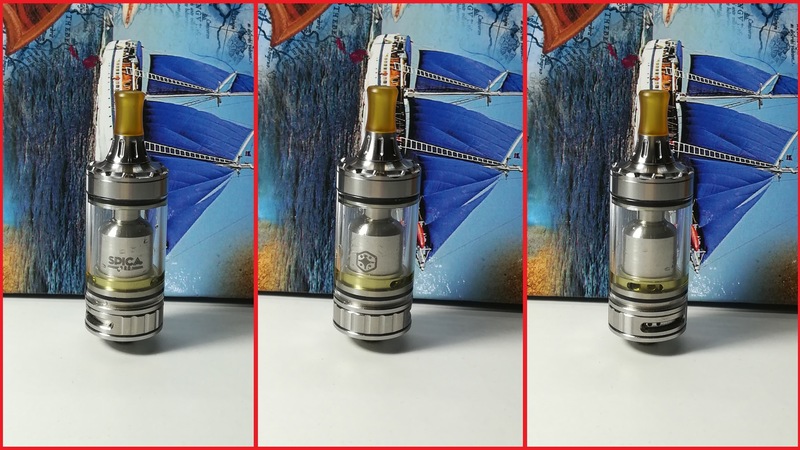 So, big plus for this rta is that you can change the pins easily, you can adjust the height of the chamber while you are using the rta and you can change the coil or cotton while your tank is full. On the base you can see the airflow control ring and on the airflow control ring you can see engravings that helps with airflow adjustment. The airflow ring works very well and it can't be moved randomly, also on the airflow control ring we have a stopper which is good because it will not spin around. On the airflow control ring we have 5 airflow holes and you can use only one hole, two holes, three holes, four holes or all 5 holes opened. I would like to say this if it is inportant to you, airflow ring is very good because there is no false airflow coming inside when you fully close the airflow control ring. Air is not loud at all , with all 3 pins it is pretty much smooth airflow. No matter which pin you use airflow is very restrictive, true mtl rta. Let's start from the drip tip, personally I think that drip tip is very comfortable for using, but if it is not comfortable for you, you can always use any other 510 drip tip but you will lose liquid control. I like the feature that height of the chamber can be adjusted because I can control the thorat hit and flavor, so basically I can adjust this rta to my preference, big pro for that. 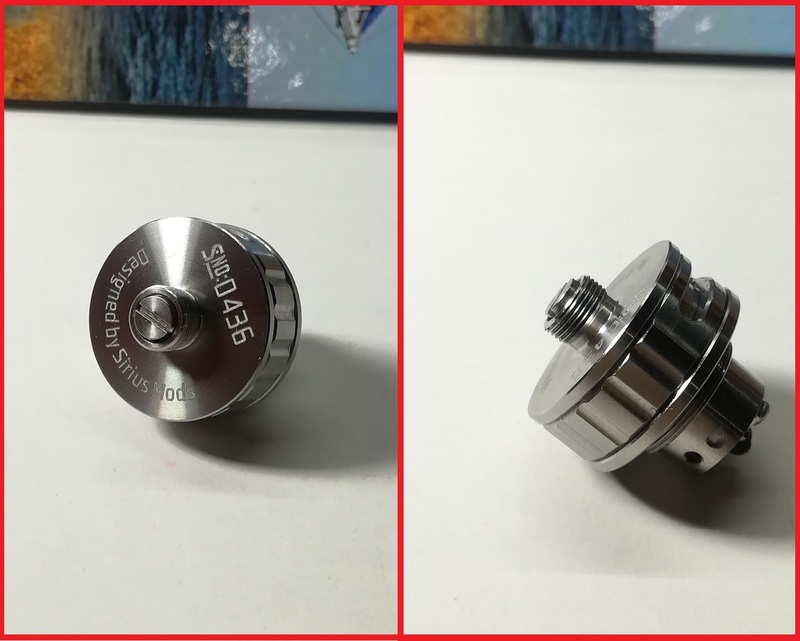 The airflow is also good and it is nice that we can choose between 3 different airflow pins and we can change the pin very easy and without changing the coil or unscrewing the base from the tank. As I alredy said, airflow is very restrictive and this one is for vapers that like to use very tight mtl atomizers. I like to use here 2mm coil and I think that spica works best with 2mm coils, but I also tried 2.5mm and 2mm is better in my opinon. Vapor production and density is good, throat hit can be soft or strong. Flavor is good, not the best I ever tried, but it gives pretty much good flavor. In my favorite e liquid that I use every day I can taste the tobacco the most as I should and the rest of the notes are slightly behind, but tobacco is very strong, which I prefer. Spica pro by coppervape is great atomizer which has very nice adjustments and features, so you can adjust everything the way you like it the most, also if you like very tight draw I thing that you should consider spica pro.